Should teams run up the score like Man City? 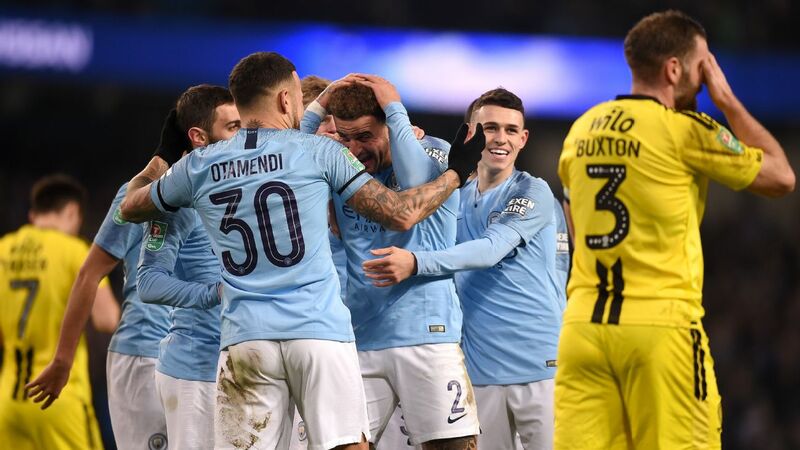 POLL: Should City have eased off in 9-0 win? 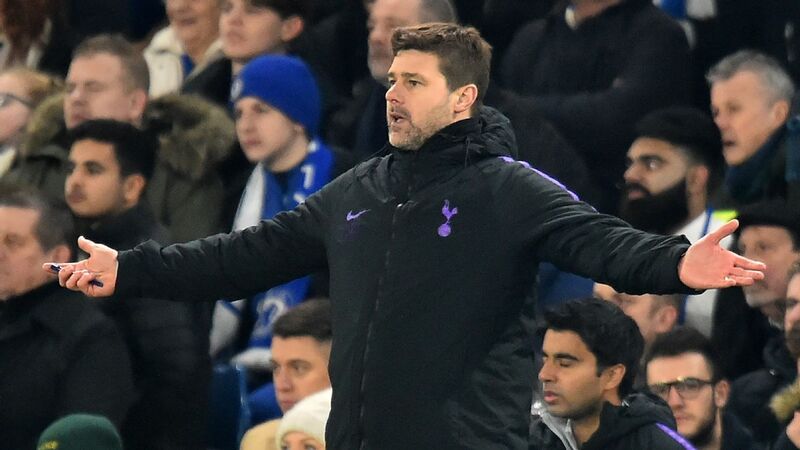 Tottenham will travel to Stamford Bridge on January 24 for leg two with a slim advantage thanks to Harry Kane's penalty. LONDON -- When Stuart Pearce was England Under-21s manager, he went to visit Pep Guardiola at Barcelona. 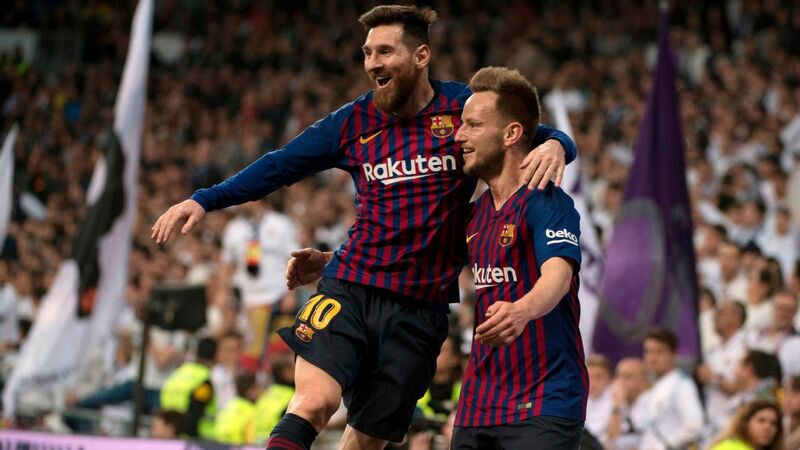 The two spent a few days together, Guardiola offered various pieces of advice on all aspects of the game, but as the two men parted he turned around and offered one final suggestion: "By the way, get a Messi in your side." Mauricio Pochettino might say something similar about Harry Kane. 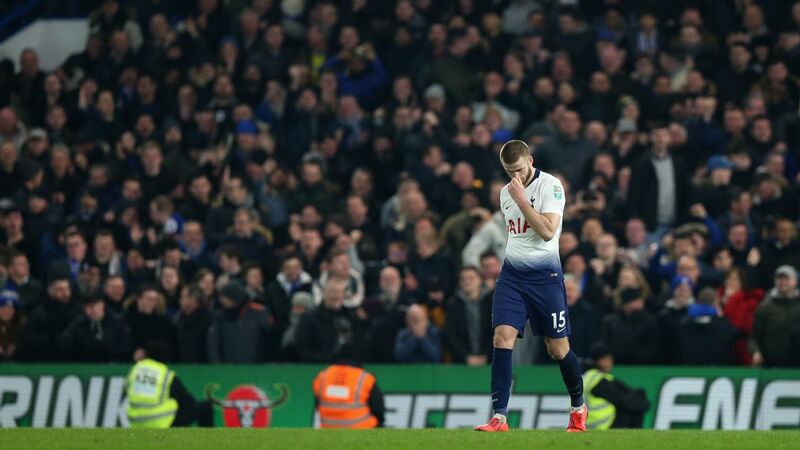 Kane's first-half penalty was the difference between Tottenham and Chelsea in the first leg of their Carabao Cup semifinal at Wembley on Tuesday. 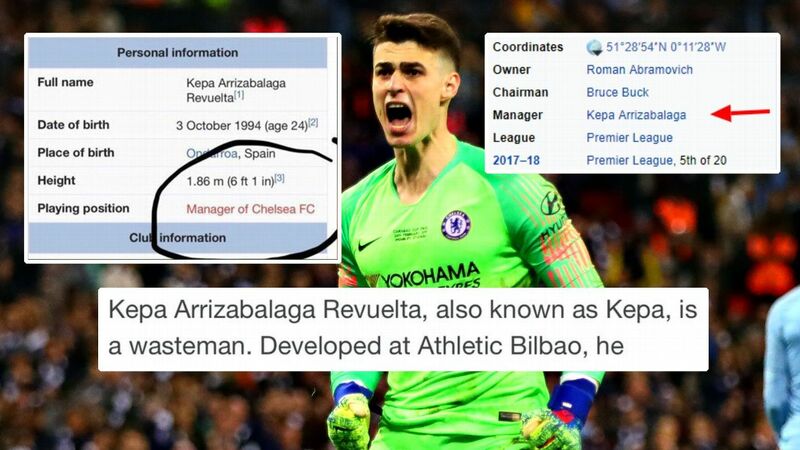 It was a penalty awarded after the VAR ruled Kepa Arrizabalaga had fouled Kane in his area, a ruling that came after Kane's run was adjudged to have been kept onside by Cesar Azpilicueta. 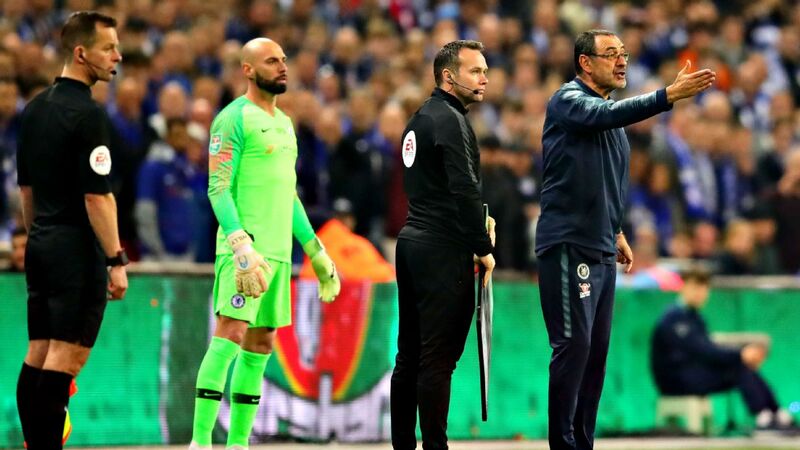 The latter proved controversial, with Maurizio Sarri slamming the decision, citing "the pictures on our camera," which revealed that "Kane was offside, clearly offside." It was a frantic game of the sort often described as a good advert for English football. Which is to say it was fast, physical, players barely had time to take two touches and tackles flew with crowd-pleasing intensity. 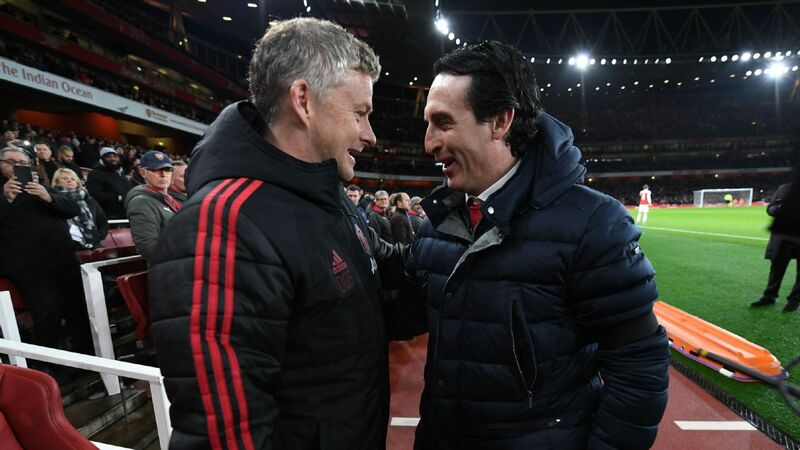 It was a game that demonstrated that these two teams certainly take the competition seriously, at least now that they can smell the silverware. Both managers picked strong teams -- in fact, give or take a few players, about the strongest they could have picked. 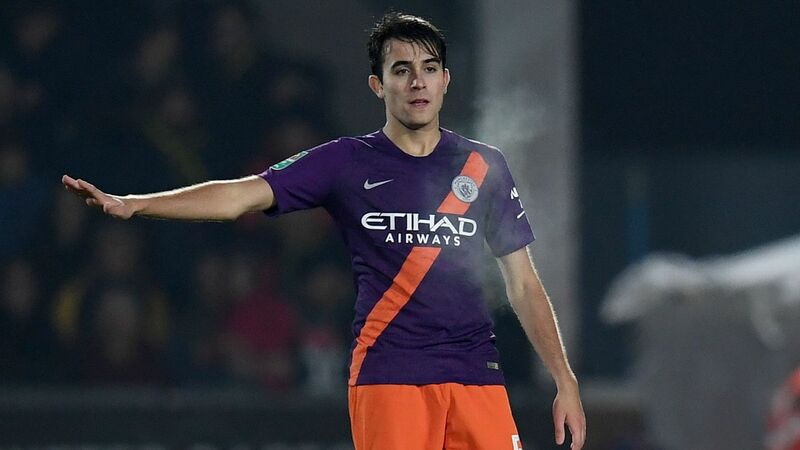 It was also a game in which the team that dominated didn't win, as Sarri was keen to point out afterward. Harry Kane scored the lone goal in Tottenham's Carabao Cup semifinal first-leg win over Chelsea. 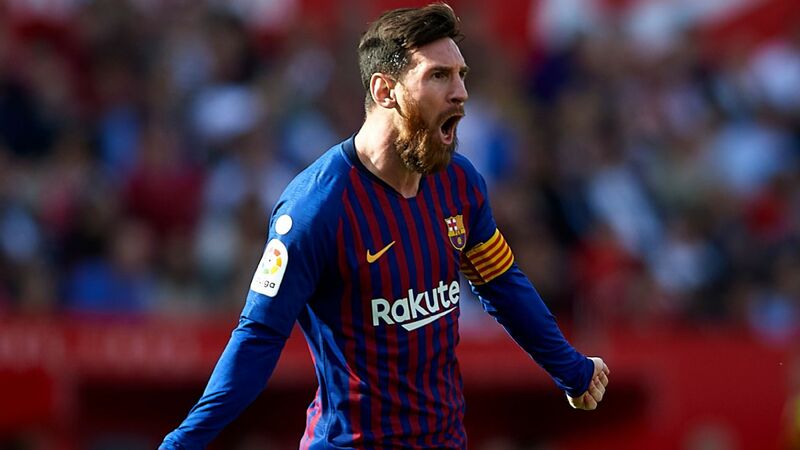 "I think we deserved more, because in this match we played better than the opponents," he explained, in plain-enough terms. "We were in control of the match. We played about 70 balls in the opposing box, against 11 balls from Tottenham. Eighteen shots against seven, I think. Five goal opportunities against two." All of which is the sort of analysis that you can paint as either a good or a bad thing for Chelsea. Good that they dominated, particularly in parts of the second half, but the fact they didn't convert that dominance into goals and a victory must be a concern. Which, in turn, emphasised the glaring difference between the two teams at Wembley. Kane's goal may have been only a penalty, but where the England captain is concerned, for "penalty" you can read "goal." He's missed only one of his past 14, that against Liverpool last season, a failure that dogged him for a full seven minutes before another came along, which he of course buried. Those seven minutes perhaps encapsulated one of the main reasons why Kane is so good. It's like he has one of those memory erasers from "Men In Black," but rather than making him forget extra-terrestrial encounters, it wipes misses from his brain, freeing him from the self-doubt that might lodge in the brains of others. Chelsea don't have anyone like that. They don't have anyone nearly like that. Eden Hazard once again played as a false nine in this game, a term that in this Chelsea squad has a couple of meanings: the name of the position filled by someone who isn't a natural centre-forward, but also a description of the theoretical strikers available to Sarri. Olivier Giroud has one league goal to his name and Alvaro Morata looks terrified whenever he gets the ball, to the point that you feel pretty sorry for him. All of which leads -- forces, perhaps -- Sarri to play Hazard away from his natural and most dangerous position. It's not just that Chelsea don't have what Antonio Conte used to call a "point of reference," but an added drawback is that Hazard loses patience with standing up front and drops deeper and deeper to find the ball. Which he then collects, and doesn't have a striker to pass to, because he's supposed to be the striker. "When we scored he tried to play more like an offensive midfielder than a striker," noted Pochettino. Sarri, like most managers, must dream of having a Kane. Not just because of the goals, but because of what it could bring from the other players. Imagine Hazard, coming in from the left, and young tyro Callum Hudson-Odoi from the right providing him service. Hudson-Odoi, reportedly subject of a fourth bid this week from a persistent Bayern Munich, didn't play like a man weighed down by the pressure of speculation. 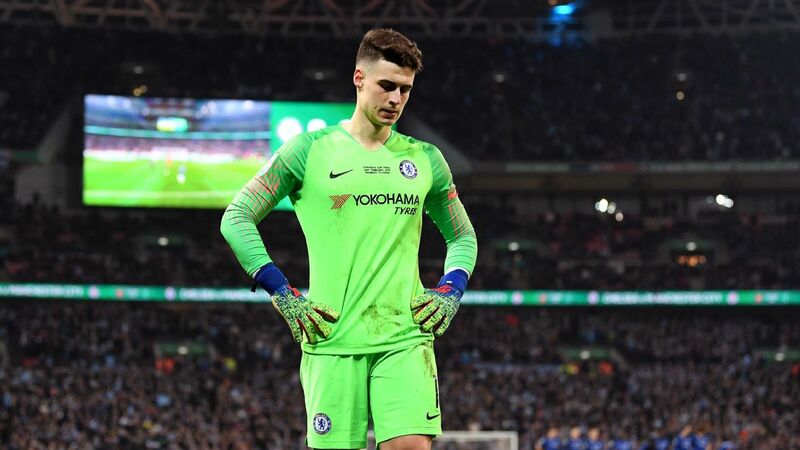 "Maybe he doesn't read anything," joked Sarri, about the 18-year-old. "He played like a player of 25, 26 years. He had a very good defensive phase." That last bit, as regular Sarri observers will tell you, is the highest praise. You have a feeling about some players when you watch them, even if they don't perform to an outstanding level. 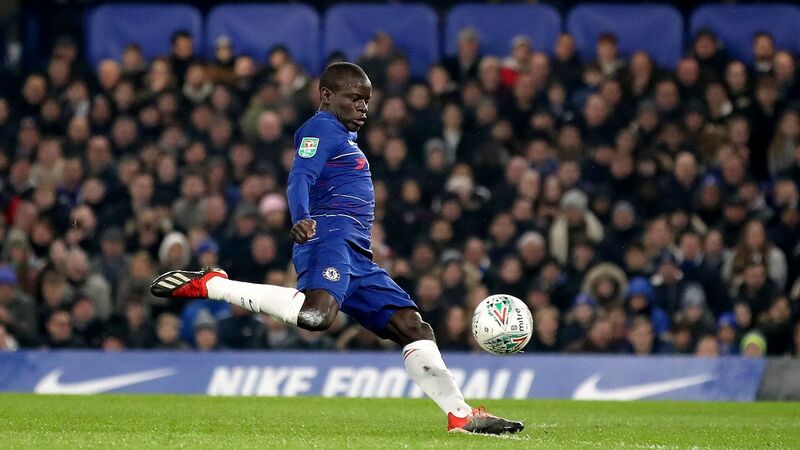 That's very much the case for Hudson-Odoi, a kid who addresses the ball with the certainty of the highly talented. Against Nottingham Forest in the FA Cup, he set up two goals for Morata with pinpoint crosses; if only he had someone to cross to here. 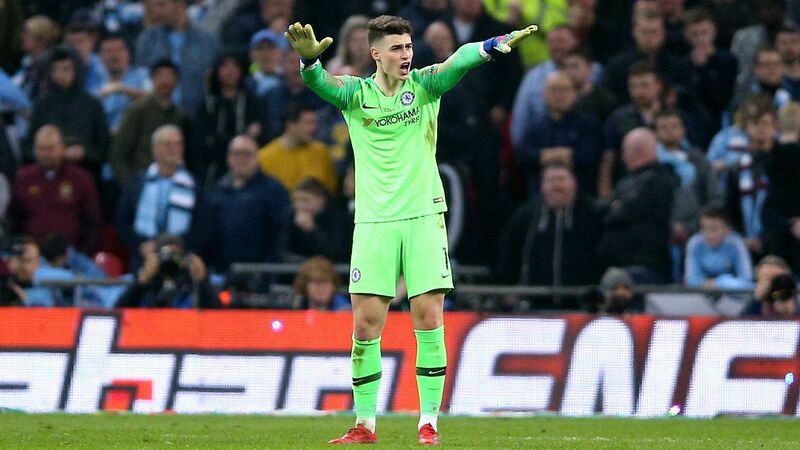 Sarri described it as "one of my team's most important performances of the season," because they played well for the whole game. 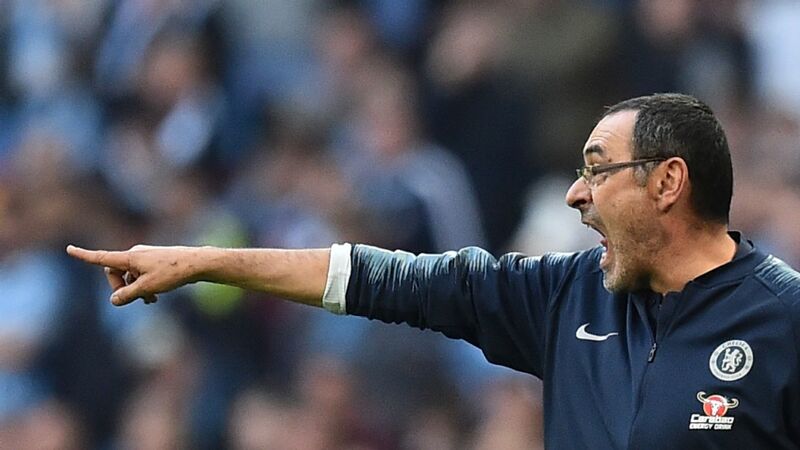 That might sound a little like damning with faint praise, but one of Sarri's big concerns in the past couple of months has been Chelsea's curious tendency to switch off after about 60 minutes, which cost them dear in defeat against Wolves, to pick just one example. "We played with a very good application and determination," he said. "With soul." Soul, but no goal. A lack of a natural scorer is not a problem that they will be able to address easily, quickly or cheaply, and anyone advising them "by the way, get a Kane in your side" will be dismissed as unhelpful. But this was a game in which the biggest flaw in their team was exposed, not by how bad they were, but how good they were.